I went to church yesterday morning. 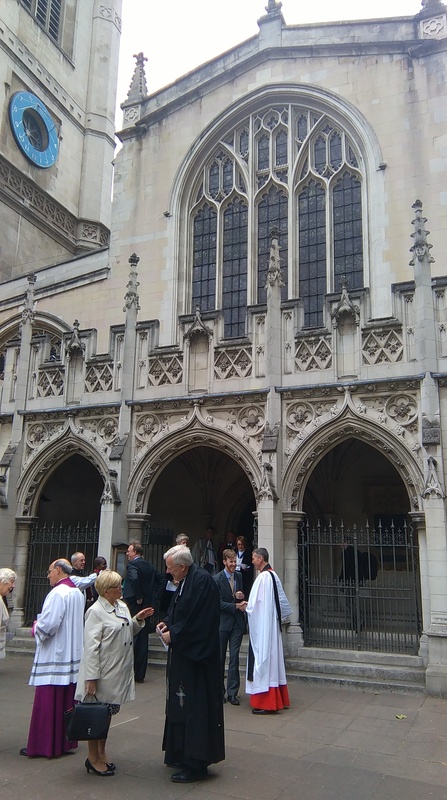 Not just any church, I have to say, but to St Margaret’s Church (next to Westminster Abbey), to join with staff from the Houses of Parliament in a service for the new Parliament. I’ve not been into St Margaret’s Church before, and it appears I inadvertently went in the VIP entrance (the east entrance next to the altar as opposed to the west entrance at the back). Oops. I handled it like a boss, though; put on the confidence façade and owned it! It was a good service: good readings, good prayers, good sermon. Good hymns too; pertinent and, dare I say it, a bit comedic: singing in a service for the new Parliament “Dear Lord and father of mankind, forgive our foolish ways…” – comedy gold! It was a good preach too from the Archbishop of Canterbury. He got a great buzz-word into the sermon and an easily transportable take-away message: go for Holy Pragmatism. To illustrate the point, Welby evoked the event from one of the readings (John, 13, v 1-14) in which Jesus washed his disciples feet, including those of Judas Iscariot (knowing full well that Judas would later betray him). If I’ve understood Welby correctly, then Holy Pragmatism basically means serving others in practical ways, meeting their needs and putting them first. So actually, it’s not a particularly novel idea, nor one that is unique to Christianity. I think it’s a pretty good goal to aim for, though, and I’m particularly taken by the way it lends itself to a hashtag: #HolyPragmatism – v. 21 century. And yes, I’ve obvs already tweeted it. It took quite some time to file out of the church after the service and the vast number of vicars present meant that once out of the building there was a bit of a vicar gauntlet to run; lots of hand shaking. Reverend Rose Hudson-Wilkin, the Speaker’s Chaplain, is definitely my favourite – I met her a few days ago and she’s pretty cool. I took great delight in shaking her hand and giving her a big grin, before moving on to the next vicar. It was only as my hand was in his that I realised it was the Arch Bish! Had I realised sooner, I could have gone in for a selfie. I said this to my colleague, Josh, afterwards, and he said it would have upset the decorum. I think he’s probably right. If you fancy a game of ‘Where’s Welby?’, then have a look below!